Vila Martin is a perfect place for skiing in winter, hiking or cycling in summer. 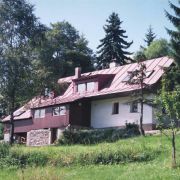 Vila is located in the centre … More » of Harrachov, just by the main skiing area – 50 meters from ski slopes with four seats chair-lift to the top of „Čertova hora“ and 50 meters from maintained cross-country skiing tracks. Note: The discount is valid on stays for 4 and more nights. 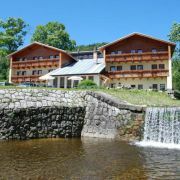 Hotel in beautiful and quiet nature of Jizera mountains at 554m above sea level in the Bila Desna river valley … More » . 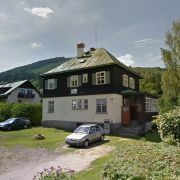 Ideal place for relaxation, families with children or elderly people but also for bikers, tourists and skiers. Hotel restaurant is opened for our guests and public. Stable clientele! Note: Prices from 7 EURO/person. 4 nice holiday flats with kitchen, bathroom, SAT-TV. Big garden, fireplace. Parking. Note: The discount is valid for the weekly stay only.